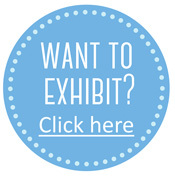 QuiltNSW will present two exhibitions of members’ work at the show. Running Away with the Amish is their 2018 suitcase challenge. The finished size of each quilt is 40cm x 60cm in portrait orientation. 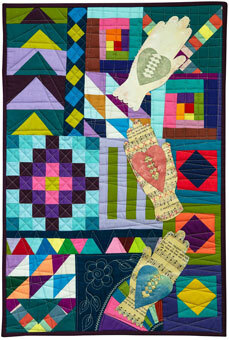 Award Winning Quilts by members will also be on display – take time to enjoy these high-quality recent works. Learn to Sew: for anyone who wants to learn to use a sewing machine or sew by hand, there’s a free activity available in the guild area. These wonderful quilters, who are also gun sewers, will be available to teach you the basics of using a sewing machine and/or stitching by hand. 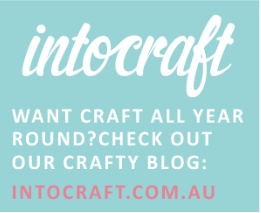 Discover the joy of stitch and the usefulness of this fantastic practical skill. Traditionally the Amish reuse everything, nothing is wasted and everything has a purpose. I made this hand quilted miniature in 1985. The red fabric bordering the the centre bars and red binding was faded and unsightly. I “Ran away with the Amish” replacing the red fabric and re-positioning the original purple borders to make a new miniature quilt. Awarded First Prize. “The Heart in Hand, a symbol of a heart in an open palm, is symbolic of charity, given from the heart”. A guesture used in the Amish community, often made from old sheet music, wrap paper or envelopes. These quilts are a gift from us to you as they travel many miles. Some of my favourite blocks and colours I use in my improv quilts are here. Awarded Second Prize. 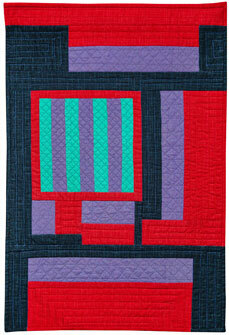 Having embraced the features of traditional Amish quilts, I let my imagination run away with them! Simple, square frames now float above a black void, and multi-value, saturated colours replace the rich, deep conventional Amish hues. 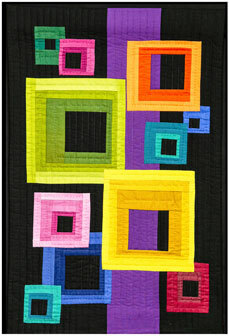 The resulting quilt glows from within, in keeping with the Christian faith at the heart of Amish quilt design. Awarded Viewers’ Choice. If you would like to enter quilts in the QuiltNSW competitions and challenges, have access to all the associated benefits of the guild, consider joining! Go to quiltnsw.com.au online and sign up now.